Plastic is choking the Earth at an alarming speed, a fact I and everyone reading this blog should think about every time we toss a disposable straw or the plastic packaging encasing a new set of stainless steel straws. And it appears plastic literally choked one short fin pilot whale, who was found in Thailand last week with 17 pounds of plastic in his stomach. The whale died five days later, with no small thanks to humans’ reliance on this increasingly toxic waste. As reported by Reuters, the sickly-looking whale was spotted in southeast Thailand on May 28, prompting veterinarians and Thailand’s Marine and Coastal Resources Department to work to heal him. On Friday, the poor thing reportedly regurgitated five plastic bags and died shortly after. An autopsy revealed the whale had swallowed at least 80 more plastic bags, which experts say made it difficult for the whale to hunt and find food. Certainly, the plastic problem isn’t limited to whales in Thailand. 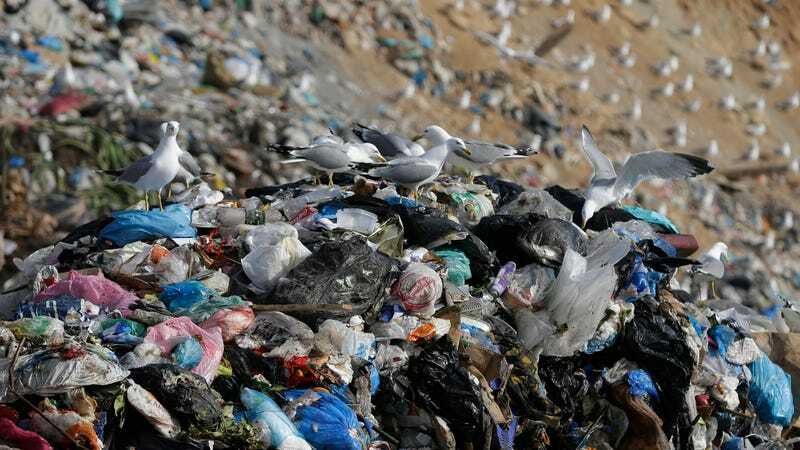 Eight million tons of plastic end up in oceans worldwide each year, and lots of that waste finds its way into marine life. In 2017, a whale washed up on a beach in Norway with 30 plastic bags in its stomach. That whale ultimately had to be euthanized.